Boss Woman loves to share. No, she is not going to randomly give us money nor does she surprise us with gifts. Rather, she is really adamant about eating food that is sharable when choosing a restaurant after softball. I think even if the food we order is not exactly a share-plate, we still make it work... So how do you split a burger 5 ways? 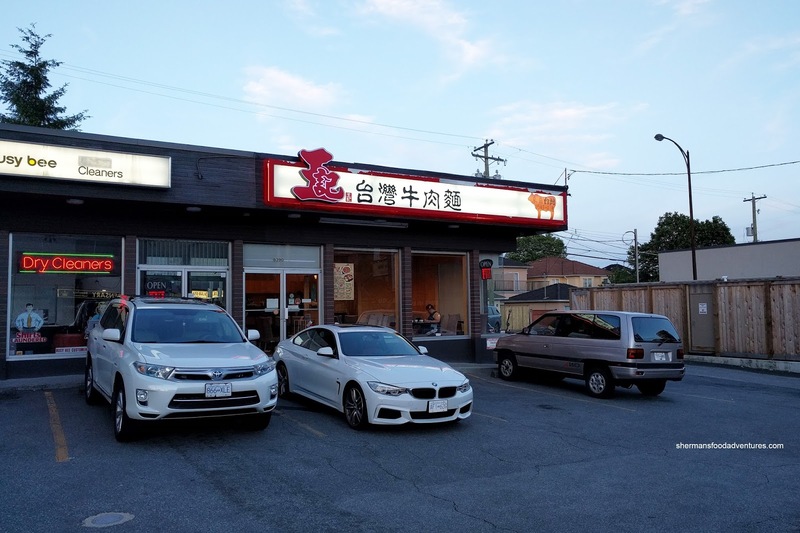 Anyways, we ended up heading to Wang's Taiwanese Beef Noodle out in South Granville since we could technically split some dishes. Not sure if the noodles were the easiest to divvie up, but again, we made it work... for Boss Woman. 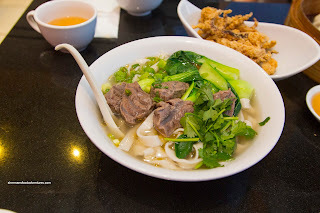 To get a bit of variety, we had the Tripe, Tendon and Beef Noodles. We chose the wide noodles and they were on point. Chewy while cooked through, these were al dente despite sitting in hot broth. Nicely balanced, the broth exhibited elements of saltiness, spice and sweetness. It wasn't incredibly full of meat depth, but it was flavourful nonetheless. As for the meats, they were on point as well with fall-apart beef, tender tripe and soft tendon. We also got the Beef Noodles in Clear Soup. This was predictably and understandably rather bland and light. We did like the aromatics of the sesame oil though. 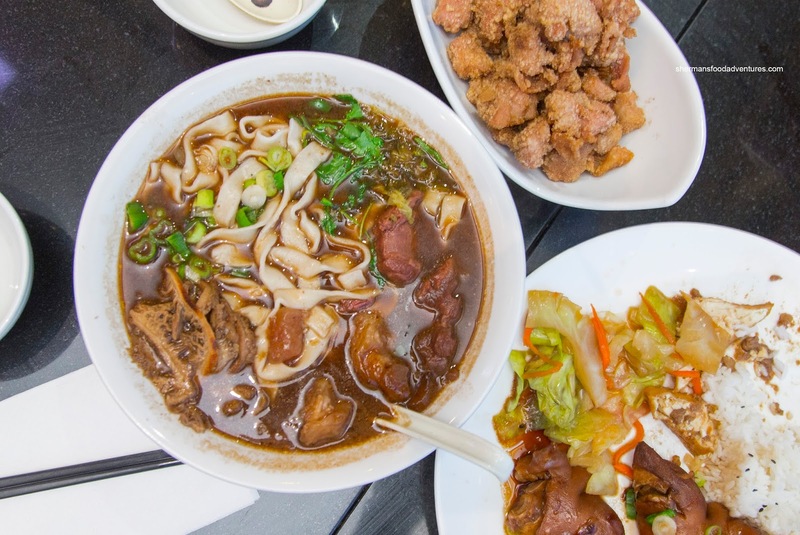 The noodles were al dente like the previous bowl while the beef shank was tender and gelatinous. For our rice dish, we chose the Pork Hock with Rice. 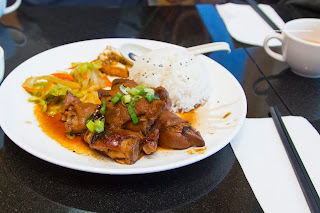 There was a decent amount of gelatinous and tender pork hock that exhibited plenty of depth from the stewing. I liked how the skin, fat and cartilage were super tender, but not falling apart either. This was accompanied by tofu, veggies and rice. Combined with the flavourful and full-of-collagen sauce, there was lots of richness to be had. We took a risk and ordered the Xiao Long Bao (it was a risk because this is not a Shanghainese restaurant). With that in mind, they were pretty decent. 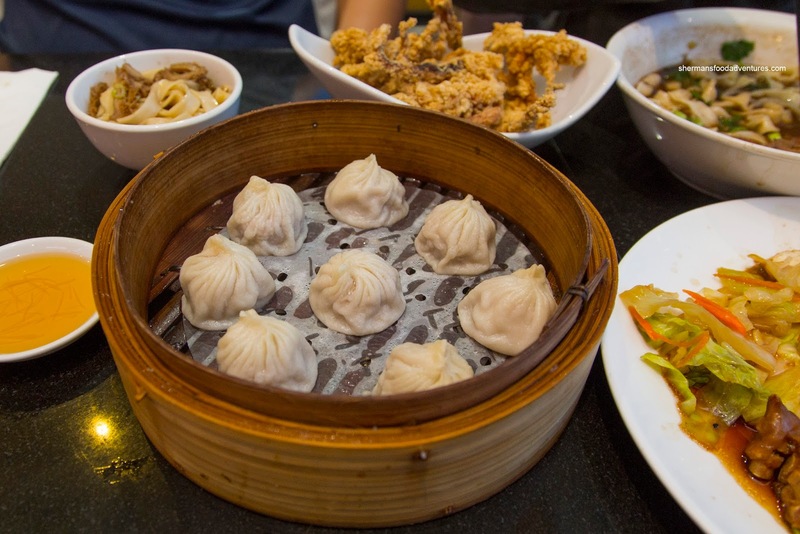 The dumpling skin was thin except for the top twirl. I found the meat to be slightly gritty but still moist and tender. There was a bit of soup that was flavoured by a good amount of xiao shing wine. 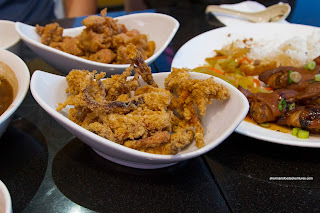 We got 2 appies to round out our meal with the Crispy Peppery Chicken Nuggets and the Fried Squid Tentacles. 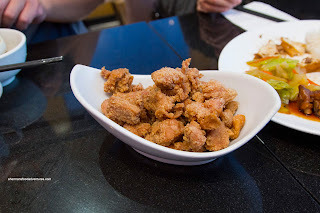 Exhibiting an appealing saltiness accented by white pepper and 5-spice, the chicken nuggets were succulent and juicy with a slight crispy exterior. I liked how they minimized the amount of skin. When there was skin, it had been completely rendered being crispy. As for the squid, it was appealingly chewy while coated with a crunchy, non-greasy batter. This was a good end to a fairly enjoyable meal. However, the service was a bit slow in reacting to our requests. Specifically, we never got share bowls or plates despite asking a few times.